Following the success of our second FMS Online Tournament last Wednesday as we streamed it live as part of the Back of the Net Podcast 111, we bring you a thorough review of the Tournament where Ty Walton was crowned our 2nd FMS Online Tournament Champion. A number of the above players having played recently in the televised FIFA Interactive World Cup Grand Final in Madrid and Virgin Gaming Challenge Series out in Las Vegas. It was a great set of players for our second online tournament and we were absolutely delighted. We were delighted to have on offer the FMS Points to the Top 32 players plus the Winner would earn themselves a TUP ticket to insomnia49 courtesy of Multiplay (worth £55) and a MLG Pro Controller courtesy of a Mad Catz (worth £90). The majority of the players turned up for the kick off of the tournament and during the 1st prelim and 2nd round there were a couple of surprises with a few big players not making it through, including last times runner up Juho Jarvela, Luke Stovell, the Barrett Brothers (James and Michael) , Dominic Stephens, Dave Bytheway, Aman Seddiqi and Mike Childs. Impressive early form was been shown by Tom Stokes, Wesley Winter, Filiph Skold, Gavin Wong, Ross96HD, Sean Allen, Ryan Adams, Olly Shaw, Bateson87, Freddy Ackren and Lewis Wheeler as they all progressed comfortably in to the 3rd Round. There were some big match ups in the 3rd round as we again lost some top FIFA players as Filiph Skold, last times 4th placing Johann Simon, David Coolledge, and KillerProctor had to watch the rest of the tournament on the stream. Big winners included Tom Stokes (4v2), Ty Walton (4v0), Gavin Wong (3v0), Ross96HD (4v2), Adam Johnston (3v0) and Bateson87 (7v1). There were a couple of surprises in this round with both Chris Bullard and Tass Rushan not being in the final 8 players who progressed in to the Quarter Finals. We streamed the Tom Stokes v Ty Walton match live and you can catch up with it above in our live coverage. What was really noticeable as our 4 players progressed to teh semi finals that both newcomers form the YouTube scene made it in to the semis with both Bateson87 and Ross96D. We streamed the Ty v Ross game which was a cracker as in the first match Ross equalised in the last 5 minutes to take the game to a 2nd match where Ty won it in the first period of extra time. An outstanding efforet by Ross against UK’s number 1 FIFA player. Bateson87’s run also came to an end after an awesome evening of FIFA as Adam Johnston booked his place in the Grand Final versus Ty. The battle of the YouTubers kicked off with Bateson87 coming out on top 2v1 as he captured his 16 FMS Points and Ross96HD deservedly walked away with his 13 FMS points. So we had ourselves an Ireland v UK Grand Final as Adam Johnston matched up against UK FIFA star and Team Dignitas player Ty Walton. Ty was one of our pre-tournament favourites as once again he had played steady FIFA all night and deservedly progressed to the Grand Final. Adam had been impressive all night and continued his form in the FMS after his runners up spot at EGL9. We streamed the Grand Final live and it was a close affair but Ty managed to capitalise on his moments of possession and earned his victory beating Adam 2v0 in our second FIFA Master Series Online Tournament. Ty claimed his 26 FMS Points plus ticket to insomnia49 and awesome MLG Pro Controller (valued together at £145) whilst Adam went home happy with his nights work and 19 FMS points. I was very pleased to have won the latest FMS tournament. I didn’t really expect to win, due to not playing much H2H since EGL, along with standard being very high. Massive congratulations to Ty for his deserved victory and thanks to all the players for taking part and making our FMS drean a reality. Thank you also to our Live Show Team of Daniel “WelshDragonDsG” Griffiths, Adam “IrishWelshCelt Ladd, Dave “SamBookaMan “Raybould plus our Tournament Admins of the Morrison Brothers, Nidge and Aubs for making the night run so smoothly. Finally, a massive thank you to our tournament sponsors Multiplay and Mad Catz. I think the FMS is a great system as it enables every player to keep track of there progress throughout the year, not only that but it also gives that extra incentive to win. 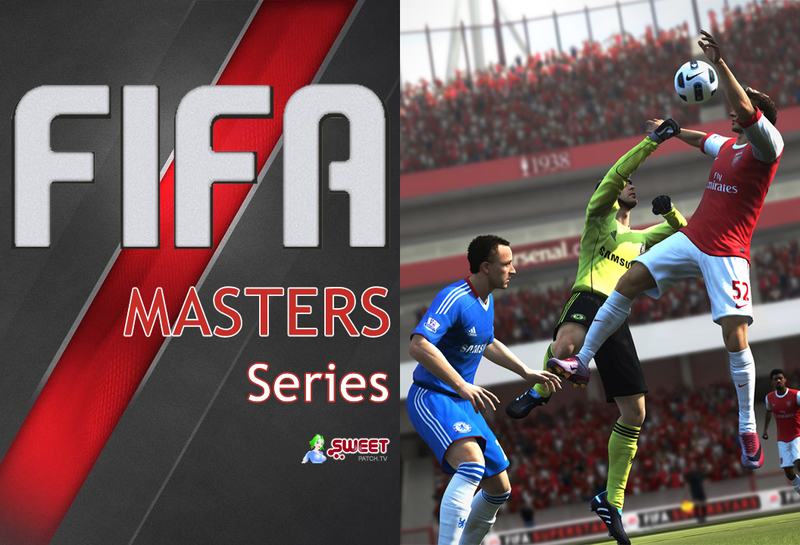 Please get involved with our next Online Tournament on Wednesday 17th July and help build the FIFA Masters Series to be a massive success for the benefit of the competitive FIFA community.